November is well underway and Christmas is creeping closer and closer. It's time to start prepping, buying your Christmas gifts and planning the big day itself. When December 1st comes around, there's no better way to countdown to Christmas than with advent calendars. Chocolate, candles, beauty, you can find an advent calendar from your favourite brands and spend each day in the run up to Christmas Day being treated to something special. Over the next week I'll be sharing my top picks of all the advent calendars covering food, lifestyle and beauty - today I'm sharing my top picks of the beauty advent calendars on offer this year. Be warned, there are some gorgeous spoilers ahead! Will you be opening up a beauty treat each day in December? 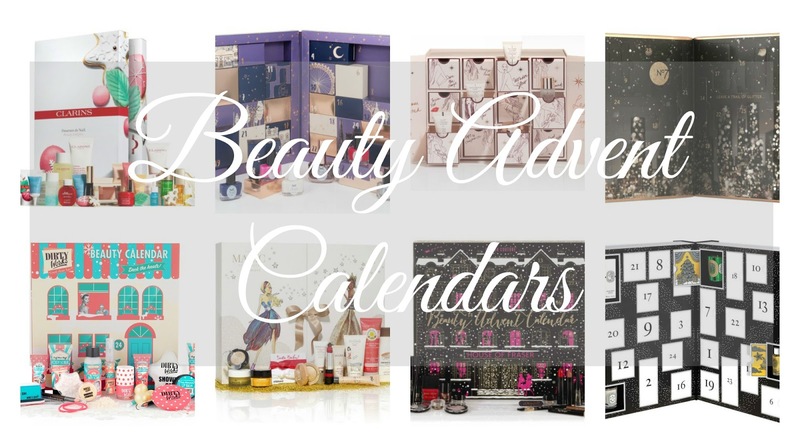 For let's kick things off with the more budget-friendly beauty advent calendars, all under £20 and featuring a lovely array of products inside. Available in-store only (you can check your local store availability here) and is as budget-friendly as they come! It features 24 beauty products including nail polishes, lip products, mascaras, eyeshadow quads and more. One for the younger girls in the family and sure to keep them excited throughout December! Available both online at www.superdrug.com as well as in-store and designed to look like a festive house, with the addition some adorable dogs and cats. Inside you'll find 24 makeup products covering eyes, lips and tools. Perfect for any girls or boys really starting to get into makeup and wanting to experiment with their look. Another Superdrug one available both online at www.superdrug.com and in-store, this one has an unusual cube design and features 24 more colourful beauty treats inside covering makeup and nails. Great for anyone in their mid-teens who loves a splash of colour! Also designed to look like a lovely festive house, available both online at www.sainsburys.co.uk as well as in-store. It features 24 beauty treats covering makeup, skincare, hair care and body care. Dirty Works is a budget-beauty brand whose products are absolutely lovely to use, so you can expect some fab treats with this! There's two designs available this year from Bomb Cosmetics, although from what I can find out, they both include a total of 24 Bomb Cosmetics products; 12 bath ballistics and 12 soaps. I had one of these myself last year and we are still getting through the soaps now! The bath ballistics were great fun to use and all products included smelt absolutely delicious! If you're looking for more of a treat buy, then the following beauty advent calendars, all under £50, feature some fantastic brands and gorgeous products to see you through the festive season. This year House of Fraser are showing their own beauty brand, Colour Couture, with an advent calendar that features 24 makeup products. Themed around the bright fuchsia and black akin to the House of Fraser brand, it's been designed to look like a snowy winter home, how lovely! Available in-store and online. Feel Unique is a website which features an incredible array of brands and products spanning all areas of beauty. Their advent calendar is a 12 day affair, opposed to the usual 24 day advent calendars. The products included feature brands such as Nuxe, Roger & Gallet and Balance Me. The products include makeup, skincare, hair care and body care and the calendar has a value of £82, which is fantastic when it only £30, bargain! This one is available online only. Available online at www.marksandspencer.com, this is always a popular advent calendar as it has a phenomenal value of £250! The cost is £35, when you spend £35 on other M&S products, and includes some of the most coveted beauty brands around; Emma Hardie, Pixie and REN, to name just a few! This is definitely one of the ultimate advent calendars around. Plus, how amazing that it's been designed to look like a Christmas tree! Available online at www.boots.com, this is one of the few advent calendars which not only features 24 products, but an extra 25th door for Christmas day, making a total of 25 products inside with a total product worth of £150. All products included are of course from No7, covering makeup, skincare and body care. This would be a great one for mums and grandmothers over the festive season. L'Occitane is an incredible brand with the most beautiful products, so their advent calendar - with a product worth of £80 - is a really special treat over the festive period. Available both in-store and online at uk.loccitane.com, it features 24 L'Occitane best-selling products covering hair care, body care and skincare. Always a popular one and available online at a couple of different retailers, some even knocking £10 off to give you this nail-tastic advent calendar for just £37.50! Inside you'll find 18 mini Ciate polishes, one full size Ciate polish and a couple of manicure tools to help you achieve that perfect mani this festive season! Now we're really moving onto the more luxurious and high-end advent calendars, from some of the coveted premium beauty brands around. The first of three The Body Shop advent calendars I'll be sharing with you today, this one is a festive green and has a total product worth of £106. Hiding inside there are some of the most loved The Body Shop products covering everything from makeup and skincare to body care and hair care. A real treat for those into cruelty-free beauty! Another one with 25 products inside, so you get an extra treat on Christmas day itself, is the Decleor advent calendar. This one features 19 skincare products, 6 body care products as well as two full size Decleor products. Decleor is an amazing brand whose products are incredibly effective and they are pretty high-end, too, so £60 is a great price for such a lovely array of products. Total value of this one is £182.99, incredible! 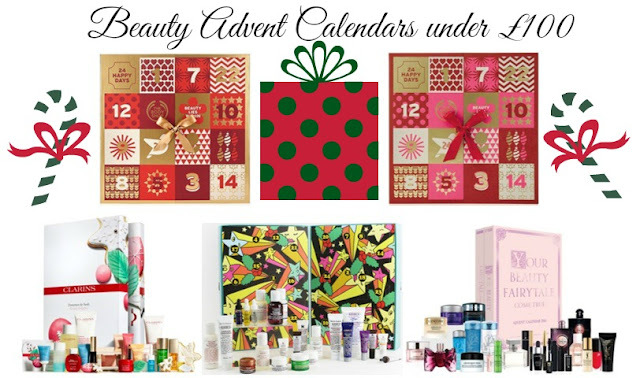 If you're a fan of Clinique then this is going to be a real treat of an advent calendar for you in the run up to Christmas. It features skincare and makeup products, including Cliniques signature fragrance, Moisture Surge Overnight Mask and High Impact Mascara. Currently sold out on www.clinique.co.uk but keep an eye out incase it comes back in stock. Alternatively there's a 7 day version, exclusive to www.debenhams.co.uk, which features skincare and makeup products, originally priced at £28 and currently reduced to £25.20! The Selfridges advent calendar, available in-store and online at www.selfridges.com, is always eagerly awaited once the run up to Christmas begins. This year the calendar costs a reasonable £65 and features high-end beauty brands such as Too Faced, Eve Lom and even FOREO. It has a total value of £230, which makes the £65 price tag very decent indeed. There has been the biggest buzz of excitement around this one, as it has a total product worth £300 and looks pretty gorgeous too, playing on the love of rose gold. It features skincare, body care, hair care and makeup products from some of the best brands on offer over on www.lookfantastic.com. You can't deny that £70 for £300 worth of products is pretty amazing, no wonder it's been one of the most popular beauty advent calendars of 2016 so far! 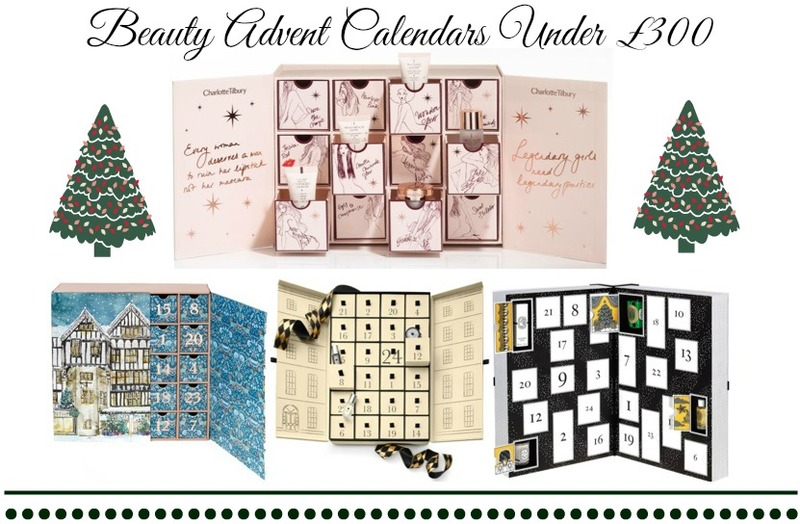 This is undoubtedly one of the most exciting beauty advent calendars for me this year, as it features very generously sized products from the bareMinerals range. This is going to be perfect for fans of mineral makeup and a great one for anyone who loves experiment with their look, with a lovely array of shades included. 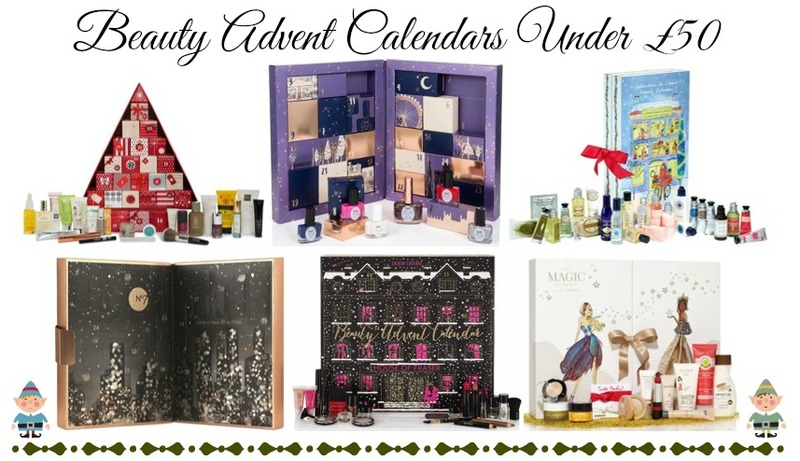 We're getting onto the more premium beauty advent calendars on offer now, each coming in at just under £100 but filled with some incredible products featuring some phenomenal brands. A splurge buy, definitely, but with beauty treats that are sure to keep you sweet this Christmas! The second of three advent calendars on offer this year from The Body Shop, this one features more deluxe sized products including the much loved Camomile Eye Make Up Remover, Oils of Life Facial Oil and British Rose Body Scrub. A fab selection of skincare and body care for The Body Shop fans! A Boots offering, this fairytale advent calendar of dreams includes some of the most highly coveted brands on offer in boots. There's a fantastic selection of body care, including fragrances, makeup and skincare, great for those of us who can never resist popping into Boots for a splurge! I love, love, love Kiehl's so this is definitely one of my favourite offerings when it comes to beauty advent calendars. It's exclusive to www.selfridges.com and has a fun and futuristic Christmas look. Featuring an impressive array of skincare products from one of the world's most loved skincare brands, this is a fantastic way to get yourself stuck in and trying some popular Kiehl's products. Another one of my favourite brands when it comes to all things beauty, Clarins are offering a try of some of their most famous and well loved products covering skincare, body care and makeup. Great for any Clarins fan but one particularly fab for mums as a real pampering treat. Lusting after this one myself! The third and final offering this year from The Body Shop (they've really gone all out on advent calendars this year, haven't they? ), this one has a total product worth of £187, which is amazing! It features some of The Body Shops most popular luxury products covering body care, makeup, skincare and hair care. The last few (well done if you made it this far! 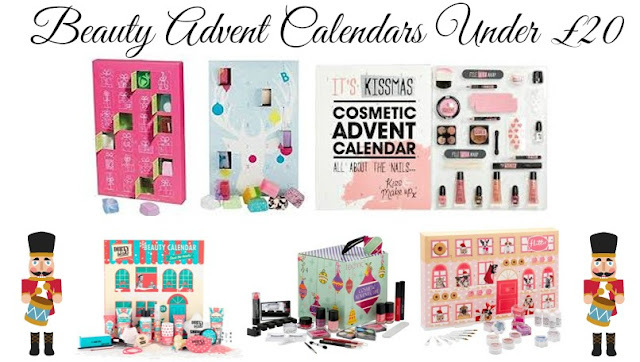 ), these beauty advent calendars are a real splurge. The prices are extreme, but the brands are some of the most famous, coveted and lusted after premium beauty brands around. I'll have one of each please! This is always one of the most coveted beauty advent calendars, modelled on the famous Liberty London store itself, created to look like the perfect snowy Christmas scene. £149 will get you £500 worth of product, featuring 13 full sized products (amazing!) as well as deluxe samples. It looks like the perfect beauty advent calendar to me! Every year I lust after the Charlotte Tilbury advent calendar. With a range of products that stands out from the crowd, always impressed with products I have tried, it is a beauty lovers dream! It features 12 beauty products opposed to the usual 24 door advent calendars, with each product being either a full size or a luxurious mini. Yes please Santa! Now we're getting to the seriously pricey advent calendars, with the Diptyque offering coming in at £250 - wow! It features 25 luxury sized Diptyque products, including candles, skincare, their coveted fragrances and a couple of offerings from the body care range too. Luxurious, indulgent and very much a splurge buy. A girl can dream, right?! The most expensive beauty advent calendar I have come across yet, the Jo Malone offering for 2016 features some popular favourites as well as a couple of surprise new products. This is a popular one among the dedicated Jo Malone fans and I know I for one would love to be treated to gorgeous Jo Malone products in the run-up to Christmas! Will you be indulging in a beauty advent calendar this festive season?